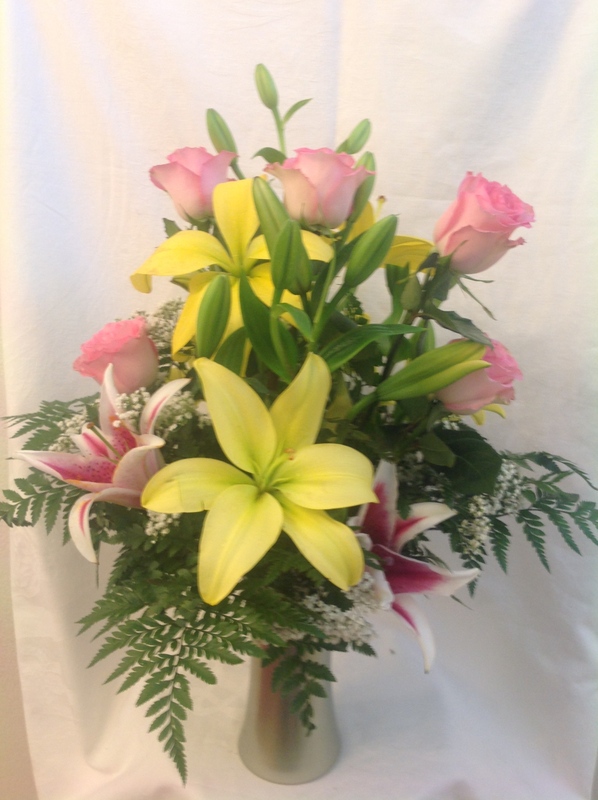 Flowers for my friend is a cheerful arrangement which makes it perfect for a friendship. 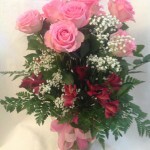 Just started dating this girl you and don’t know what flowers to buy her? But it s Valentines Day right, and you better not show up empty handed. 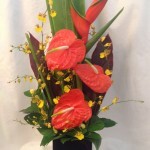 This just might be the arrangement you are looking for. It is sweet, cheerful and she’s going to love it. 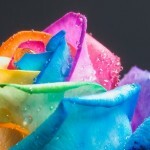 It does not say I love you but it does say, you are so special, I just wanted you to have these flowers. 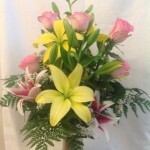 Yellow lilies, 6 sweet pink roses, million star and leather leaf arranged in a 8″ frosted green vase.